Axonify held its first community conference at the prestigious Langdon Hall hotel in Cambridge, Ontario Canada last week. More than fifty customers and partners attended to network with each other, learn more about new product developments and listen to inspirational stories from leaders, including Chad McIntosh, VP Loss Prevention & Risk Management at Bloomingdale’s, Marcus Presley, Senior Manager, Logistics Compliance & Safety at Walmart, Mia Phillips, National Manager, Dealer Education & Digital Tools at Toyota, Bob Mosher, Chief Learning Evangelist at APPLY Synergies as well as many others. Below is a guest post from Axonify partner Mariano J. Doble, CEO of Doble Group, LLC, that captures his perspective on the event. 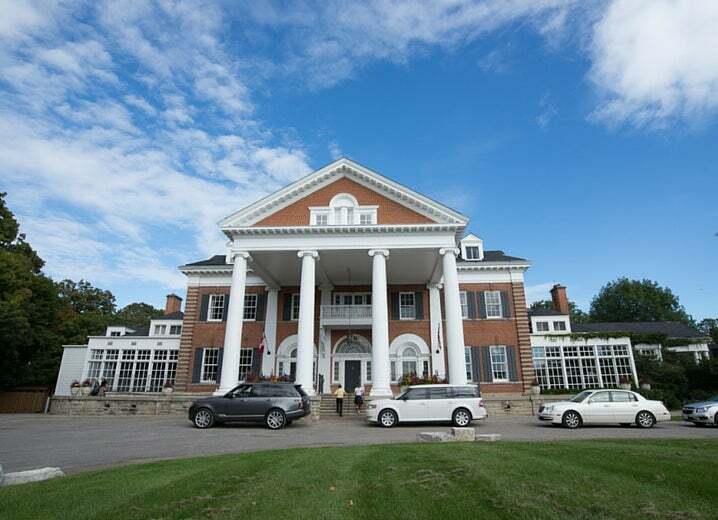 Langdon Hall – The location of Axonify’s first community conference. After spending a couple of days sharing with Axonify customers, partners and team members, I learned that Axonify was much more than a technology platform. I have been a fan of Axonify for some time now, but what I did not realize is how I had underrated its power to significantly transform organizational culture and help drive sustainable business performance. Axonify has been a clear leader in learning through gamification and question-based reinforcement. What surprised me the most is how Axonify harnesses the power of purposeful knowledge and enables organizations to grow, sustain, share, apply and measure this knowledge and its impact on business performance. Axonify’s promise is to make employees more knowledgeable so they can perform better and help organizations and employees realize their potential. Although this seems like a lofty goal, Axonify has found a way to embed brain science, gamification and learning best practices in an evolving platform to ensure that organizations are correlating this knowledge effectively with team behaviors (culture) and ultimately tangible business results. The Axonify platform goes beyond the game mechanics and rewards platform to make companies smarter, but it also provides real time analytics to ensure business managers are coaching, guiding, leading and promoting the behaviors that embed the desired business culture and ultimately deliver results. The future looks even brighter as Axonify unveils future innovations that will take the platform to the next level by enabling more exciting competition and wagers, certifications, real-time communication, surveys, predictive performance modeling, user-generated content and expert support at the time of need. One of the most exciting upcoming capabilities is the alignment between acquired knowledge and actual employee behaviors with tangible business results. The conference ended with a brilliant keynote delivered by Bob Mosher, focusing on Performance Support and breaking the paradigms of traditional learning methods. Gloria Gery defined Performance Support as an orchestrated set of services that provide on-demand access to integrated information, guidance, advice, assistance, training and tools to enable high-level job performance with minimum support from other people. His keen focus on an approach to deliver contextual information to the learner that is readily available (and actionable) at the moment of “application” was not only refreshing but also incredibly simple. Mosher’s treatment of contextual information that is personalized to the specific roles of the learner and easily accessible defied conventional wisdom and really brought home the importance of not just “teaching stuff” but prioritizing critical (actionable), rather than important knowledge. My goal for this conference was to network and learn more about Axonify, its products and customer success stories. This mission was accomplished, but beyond reaching my goals, I am most impressed with the future potential, the incredible energy of the Axonify team and the extraordinary levels of satisfaction and commitment displayed by Axonify’s customers. Well-done Axonify!